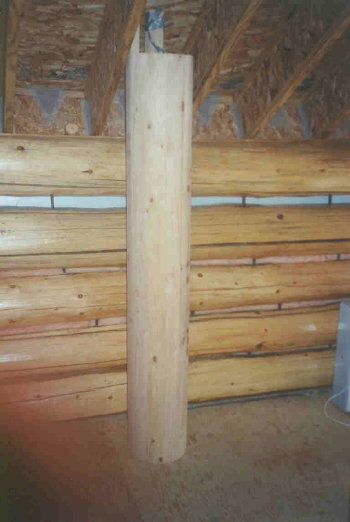 The major projects for 2006 were to varnish the loft logs and to build as many as three staircases. Unfortunately, the time was not available to finish any of these. About half of the loft got varnished and substantial progress was made only on the main outside staircase. 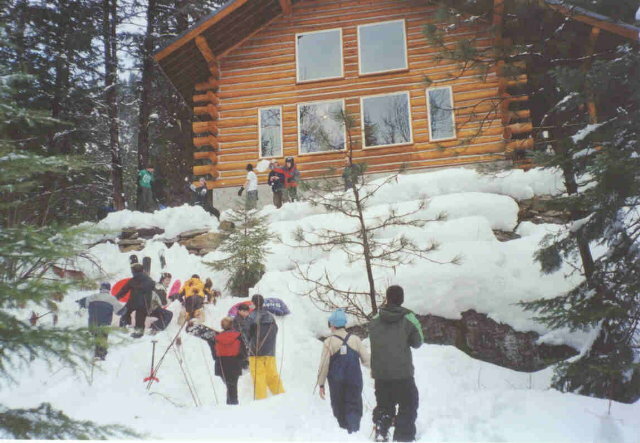 On 1/21/06 the boy scouts from Troop 100 camped on the property and played in the snow. 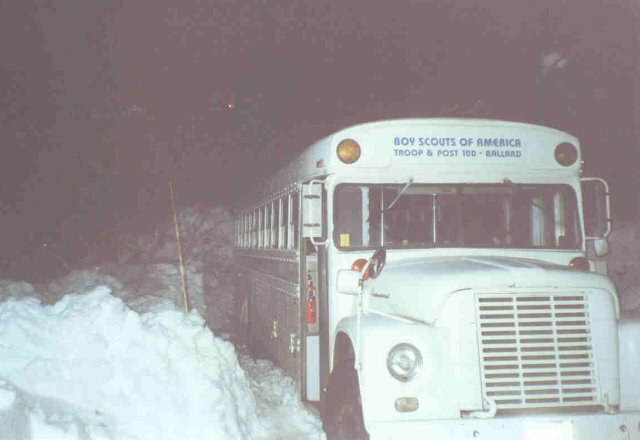 Mike had plowed out enough snow to park the troop bus and several cars. The boys wasted no time scaling the cliff in front of the cabin and waging snowball warfare. - 1/21/06. 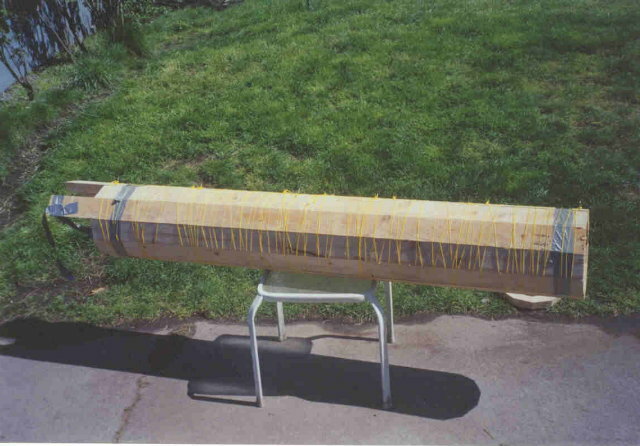 This is a phony log made of 2x4s glued together and held by the yellow mason's string you see. The log will be a ventilation manifold running between the loft floor and loft ceiling used to draw warm air off from the peak of the ceiling. - 4/12/06. This is the phony ventilation log after the glue was dry. 4/12/06. 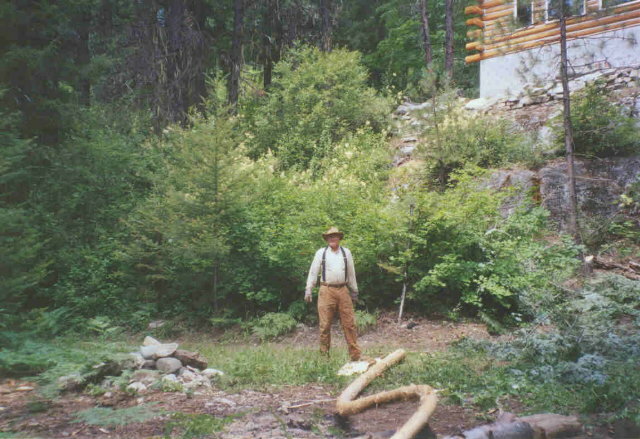 Here the phony vent log is placed pretty near to its final position. - 4/18/06. 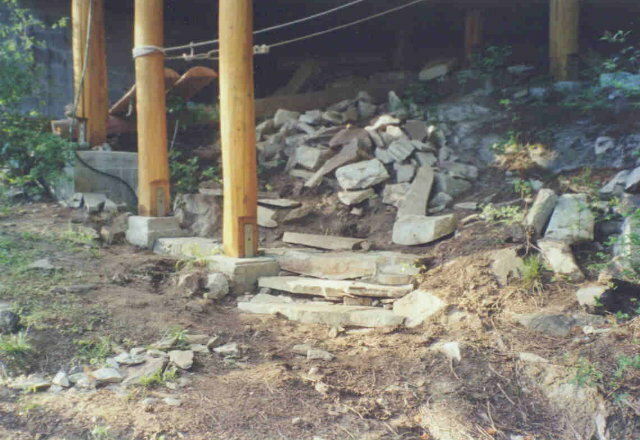 This shows the beginnings of the stone steps that will form the lower part of the main outside staricase. 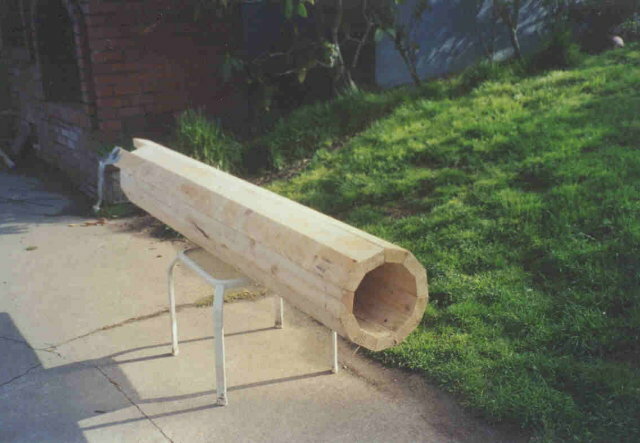 The top of it will be made of logs. - 5/17/06. This is Paul spudding the bark off a very crooked tree that will be used for the curved handrail on the main staircase. - 7/19/06. 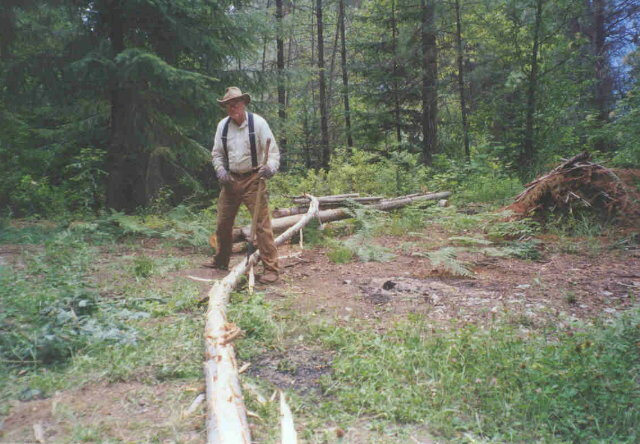 This shot shows how curvy that log really is. - 7/19/06. ©2006-2019 Paul R. Martin, All rights reserved.